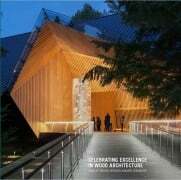 Winners for the 2018 Wood Design & Building Awards Program Announced! 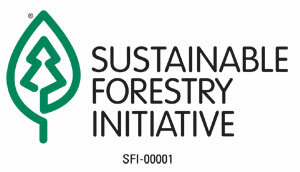 Are you, or someone you know, involved in a project that embodies the essence of innovative wood design? Submit your project(s) to our Awards program for your chance to be featured in various conferences, press releases, and highlighted in the Wood Design & Building award winning and popularly circulated awards book and magazine. A hand-selected jury of prominent architects from Canada and the USA review each submission and choose the award winners based on considerations such as creativity, distinctive and appropriate use of wood materials, ability to satisfy clients’ building and site requirements, and overall aesthetic appeal for the use and application of wood. Start your submission today! CLICK HERE to view a PDF of the 2018 application to assist in gathering relevant materials in advance. You can begin the submission process and save your entry until the deadline date and time. Winning projects will also be featured on www.e-architect.co.uk. Do I have to start and finish my submission in one session? No. You can start your submission and come back to finish it before the deadline date. What if I want to make changes to my entry after I have completed my submission? You can enter the system at any time to edit or update your submission before the deadline date. Upon submitting your entry, you will receive a confirmation e-mail message containing your submission details. What should I do if I did not receive a confirmation e-mail containing my submission details? First, check your junk mail folder – the most likely problem is that your spam filter sent the e-mail to your junk mail. If it did not go into your junk mail folder, please contact ilazea@cwc.ca for assistance. View winning recipients from the previous year!